Welcome to my site. I started this site in 2011 as part of my reflective journey to Hong Kong where I was staying for seven months, as a visiting scholar at one of the local universities. I wanted to try to capture some moments of my time here but also learn to use a blog effectively and have some fun. I’ve started to use categories so you can take what you want from the site but I am still learning the most effective way to use the blog for easy access and surfing. 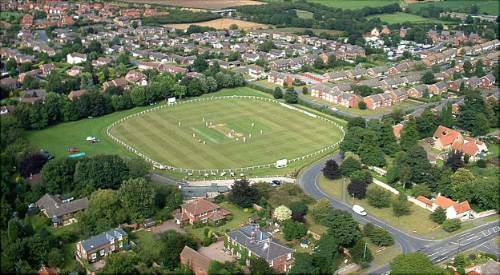 Below is a picture of my home cricket ground in Tickhill, a place I can spend many an hour letting the world go by. One of the things I missed about the UK when I was away. Always glad to hear comments and thoughts. I worked at Sheffield Hallam University for 34 years, retiring in May 2016 and remain Emeritus professor in probation studies. I have a lifetime of work associated with probation from practitioner, to manager, to trainer, to researcher, to acdemic to consultant to commentator and still finding ways to reflect on a wonderful vocation. I am particularly exercised by the potential government changes to dismantle probation. All views expressed are mine alone though often based on evidence! Since retirement I have acted as Chair of the Probation Institute and remain committed to probation as a profession. It was a great pleasure to listen to your speech at the Humberside Staff conference, it was even better chatting over lunch. Shame that Mr Grayling did not listen or consider your views. I will follow your blogs with interest while seeking a new line of work….